India . activites . Delhi . One of the most popular introductory tours in India is of the Golden Triangle area, which encompasses three illustrious cities in the country’s northwest region: Delhi; Agra; and Jaipur. Creating a kaleidoscope of unique experiences that dazzle the senses, the journey starts from Delhi, moves south to Agra and then finally towards the deserted landscapes of Jaipur. 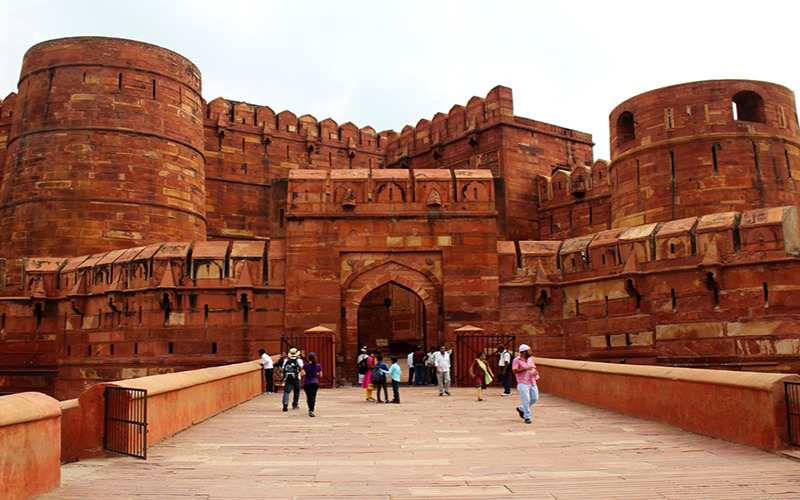 While the Mughal Era may long be gone, the iconic Red fort lives on with all its fervor and vitality. Built by the Mughal Emperor Shah Jahan, this magnificent fort has been dubbed ‘Red’ for its extraordinary walls made of the sandstone. Set in Old Delhi, this colossal octagonal-shaped citadel not only makes a great starting point for your Golden triangle adventure but also offers once-in-a-lifetime opportunity to rediscover the fascinating world of Mughals and Maharajas. Pro Tip: A detailed survey of this royal monument deserves a whole day, as it spans across an area of 2 kilometers, qualifying as a small city in itself. Come home to the tallest brick-layered minaret in the world, which almost rivals Taj Mahal in terms of its popularity. 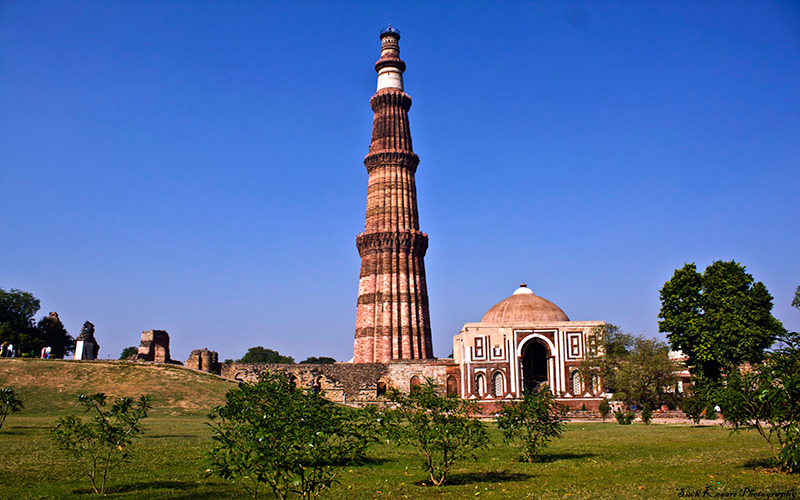 An architectural marvel of the medieval time, Qutub Minar is arguably one of the most striking monuments ever built. Constructed in 1193, ‘the tower of power’ is inevitably associated with the ascension of Muslim rule in India. In fact, the base of the minaret showcases India’s first Islamic mosque, complemented by ruins and gardens which beautify the grounds. Pro Tip: For a particularly inspiring experience, plan your visit in the evening just before the sunset. While on your golden triangle trip, make sure to visit The Lotus Temple or the Baha’i House of Worship, where a stunning bit of modern architecture awaits you. While the temple lays in stark contrast to the ancient monuments that dot New Delhi, it draws more than four million visitors every year. 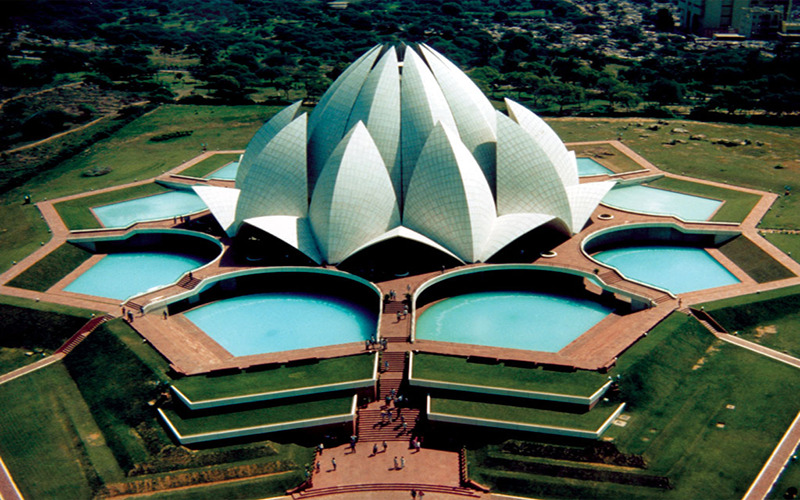 The temple resembles a partially open lotus flower consisting of 27 remarkable leaves and petals made of marble. The architectural vision is a sight to behold as the nine pools representing lotus leaves give the impression of a flower resting on the water. Unlike other temples in India, the Lotus Temple features no priests or idols within the temple but rather embraces the oneness of mankind, religion and God. It is one of the major sites of worship for the Baha’i Faith, which began in Iran in the mid 1800s. 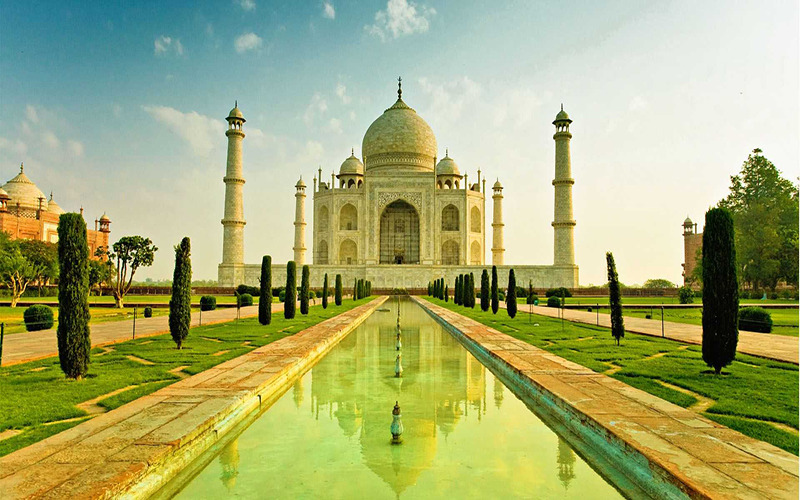 The Taj Mahal at Agra is sure to be mentioned in anything you will read about the Golden Triangle tour. This gorgeous mausoleum is more than just architecture or history; it stands as the testimony of love that is as pure as the white marble from which it was built. 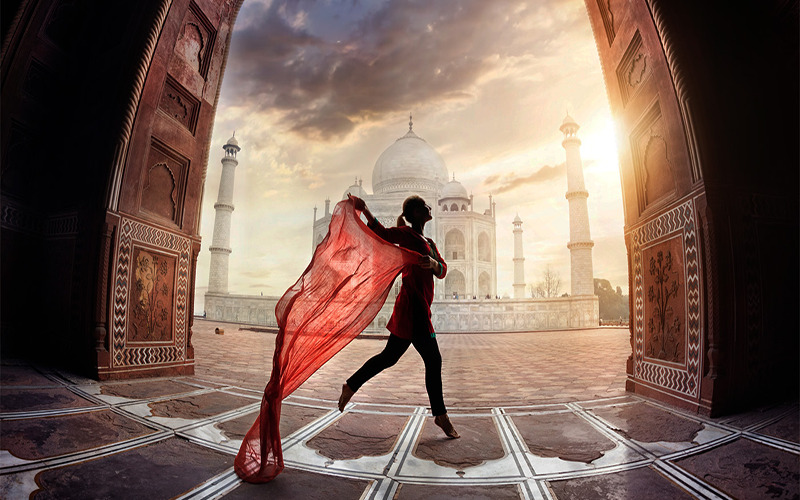 While the people associated with the story of the Taj Mahal come from the 1600s, the idea of love is eternal and it inspires people from all across the world to pay a visit at this wonderful creation. Pro Tip: In order to relish the splendid beauty of Taj Mahal, plan your visit on a full moon night for a memory to last a lifetime. 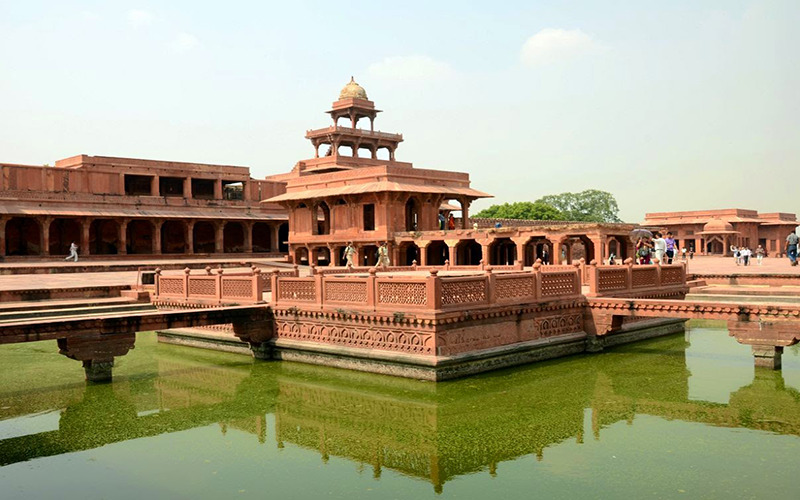 Located 37 kilometers away from Agra, Fatehpur Sikri is another brilliant example of the Mughal architecture and aura that will take you back in time to the era of rajas and maharajas. The magnificent red sandstone buildings of the city are remarkably well preserved, showcasing sophisticated architecture and an inspired sense of planning. Because the city was left abandoned and never re-settled by later rulers, it is the best reflection of Akbar's artistic design philosophies. Today, Fatehpur Sikri stands as an intriguing ghost town, reflecting India’s rich and varied cultural history. On a golden triangle tour to India, Hawa Mahal is a must visit place that is bound to leave you mesmerized. Located in the heart of the beautiful Pink City of Jaipur, ‘Hawa Mahal’ is renowned for its splendid architecture and contemporary design. From its creation in 1799 to this very day, the palace retains the age-old glory of Rajput kings and proudly bears the testimony of the power of India’s royal families. 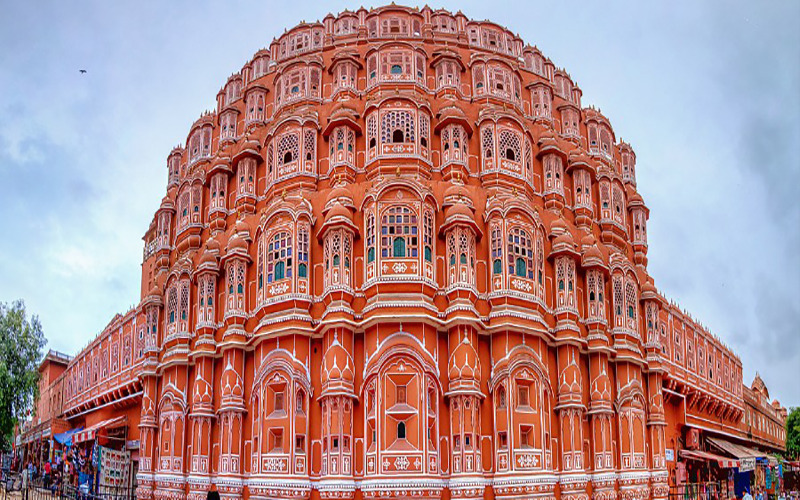 The true beauty of the Hawa Mahal, the ‘Palace of Wind,’ lies in its intricately carved 953 small windows that regulate the flow of breeze throughout the entire palace and keep it cool even in scorching summers. In fact, this pyramid-shaped wonder has proved to be one of the most frequented sites in Rajasthan tourism. 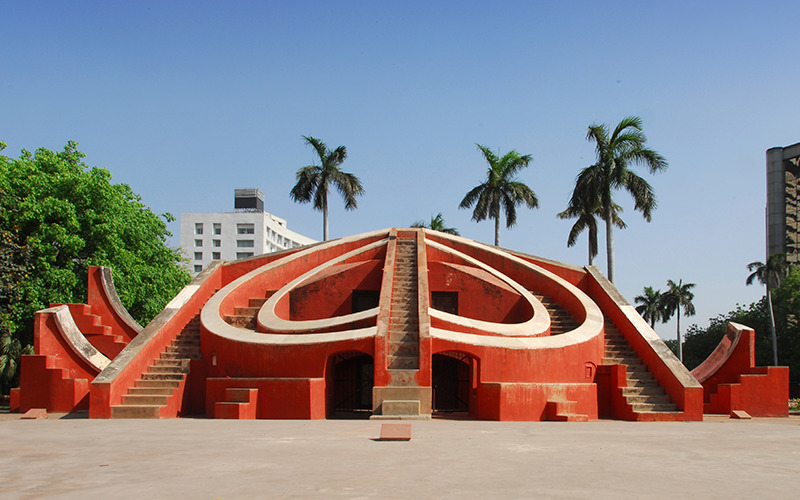 One site you should visit on your golden triangle journey in Jaipur is India’s largest astronomical observatory, which features a wide using any modern mechanics. These observatories or "Jantar Mantars" with their striking combinations of geometric forms have captivated the attention of artists, architects, art historians and the general public all over the world. The best way to explore the alluring liveliness of the Golden Triangle is to go shopping in the colorful chaos of the Indian markets. From fun and funky souvenirs to a range of dazzling jewelry and locally made handicrafts, the Old Delhi Bazaar is a tourist attraction all on its own. What’s more? Sample some of Jaipur’s cultural heritage as you glance through locally mastercrafted goods. 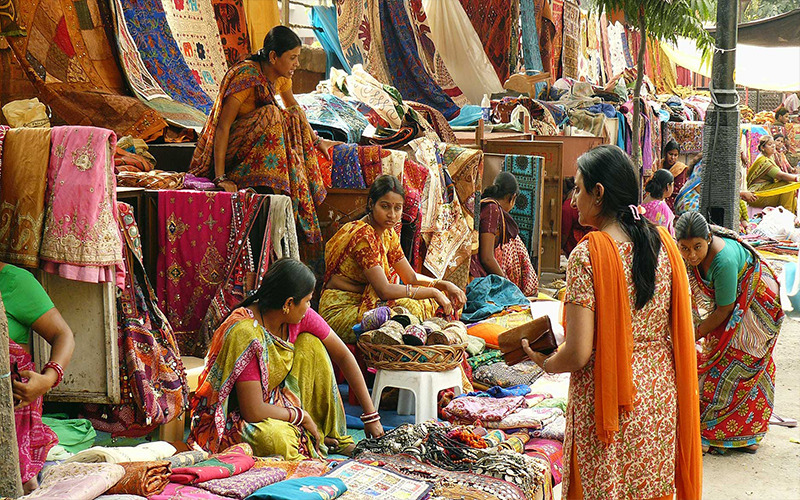 Or sift through Agra’s unique jewelry, woven thatch bags and hats, one-of-a-kind paintings and wood carvings. If these historic cities have fuelled your desire to experience more of India, some nearby tourist hotspots can add another dimension to your Golden triangle trip. 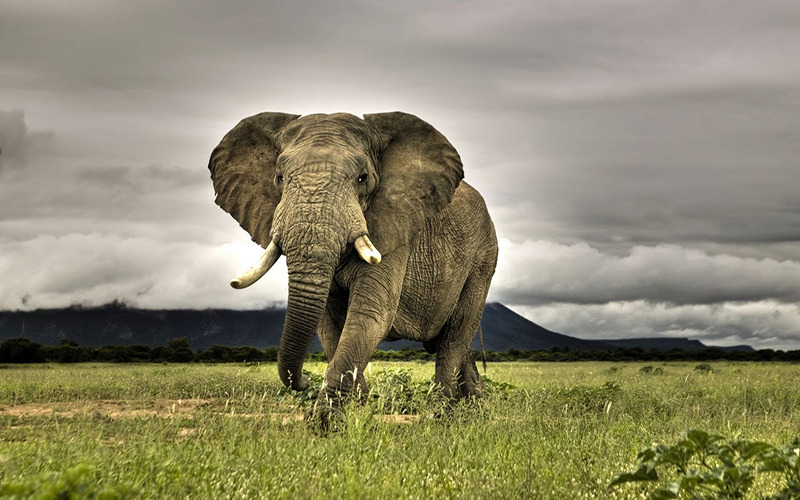 Outdoor adventurers can tackle the scorching heat in the realms of Mother Nature at Shimla, Mussorie and Nainital and wildlife enthusiasts can pick Jim Corbett or Ranthambhore National Parks to witness a vast variety of flora and fauna. What’s more? Spiritual travellers can experience eternal bliss and discover peace of mind in Amritsar and Haridwar, while adventure buffs can go for sheer excitement and thrill in Rishikesh with a plethora of options for river rafting and bungee jumping. We’ve saved the most delicious for last. 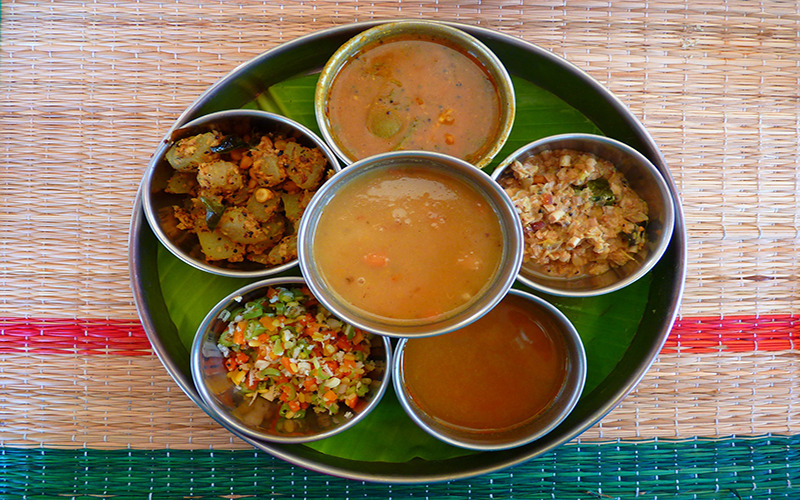 Arguably, one of the best reasons to take a golden triangle trip in India is the opportunity to savor the tantalizing local cuisines of Delhi, Jaipur and Agra – regularly considered the best in all of India. History not only lives and breathes in the three cities’ architecture but is also evident in their food. While the capital city of New Delhi caters to all the cuisines in one, don’t miss the city’s street flavors like chaat papdi, jalebi, golgappas and chai. Agra, on the other hand, is world-renowned for its sweet dish called ‘pethas,’ which can be savored in a number of flavors like saffron, rose and many more. Last but not the least; Jaipur is famous for the great Rajasthani dishes such as the ‘balushashi’ and ‘daal baati churma’. A truly wonderful travel destination that offers a life-changing Golden Triangle tour to rejuvenate the mind, soul, and the tastebuds, India is incredible indeed! India's Golden Traingle is one of the most iconic monuments in India that you have to pay a visit to through our India Tour Packages!